High-speed internet service provider BSNL relaunched promotional double benefit Combo Special Tariff Vouchers in all Telecom Circles as promotional basis. State run Telecom Company Bharat Sanchar NIgam Limited (BSNL) based good demand from customers from various units has decided to re-introduce earlier launched Combo STVs with Extra Talk Value and Free Data usage for a period upto 31st March, 2017 in all Telecom Circles. 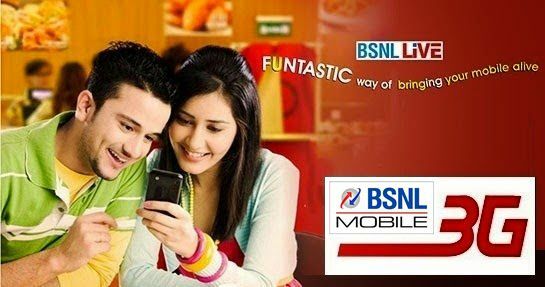 As per latest information, BSNL competent authority to attract young segment prepaid users across the country has launched the promotional Combo Vouchers in all telecom Circles Rs.13/14/15, Rs.77 and Rs.177 offering double benefits for limited period. Combo STV 13/14/15 offers, Free Rs.15 talk value and 10MB free data usage (to be consumed within validity 2 days) with 2 days validity. Combo STV 77 offers, Free Rs.80 talk value and 30MB free data usage (to be consumed within validity 10 days) with 10 days validity. Combo STV 177 offers, Free Rs.180 talk value and 50MB free data usage (to be consumed within validity 15 days) with 15 days validity. The above double benefit vouchers will be implemented and available upto 31st March, 2017 as promotional basis for limited period in all Telecom Circles. Note: The MRP of Combo Vouchers may vary in each telecom circle (+ / -) according to the technical and availability of telecom circle.